Would you just be still for this moment and imagine if this were true? Suspend all judgement. No matter how far fetched--play this make believe with me. Now close your eyes after your read these questions. What if you were for certain that you were absolutely blameless? What if you knew in every cell in every fiber that you were unconditionally loved and had nothing to prove? What if your body was totally acceptable to you--without one thought of needing to change it in any way? What if you live in a world where when you woke up in the morning you were worried about nothing and felt no fear? What if you felt no need to prove anything to anyone or had a need to make up for a perceived failure or loss? Hold that feeling as long as you can--allow it to prepare you for positive change and I will see you next Sunday! Do it every day for five minutes--more if you can." ~ 11:00: Rev. 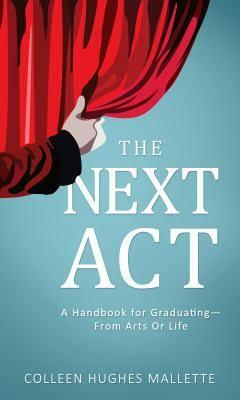 Karen Romestan rocks a lesson from The Next Act! 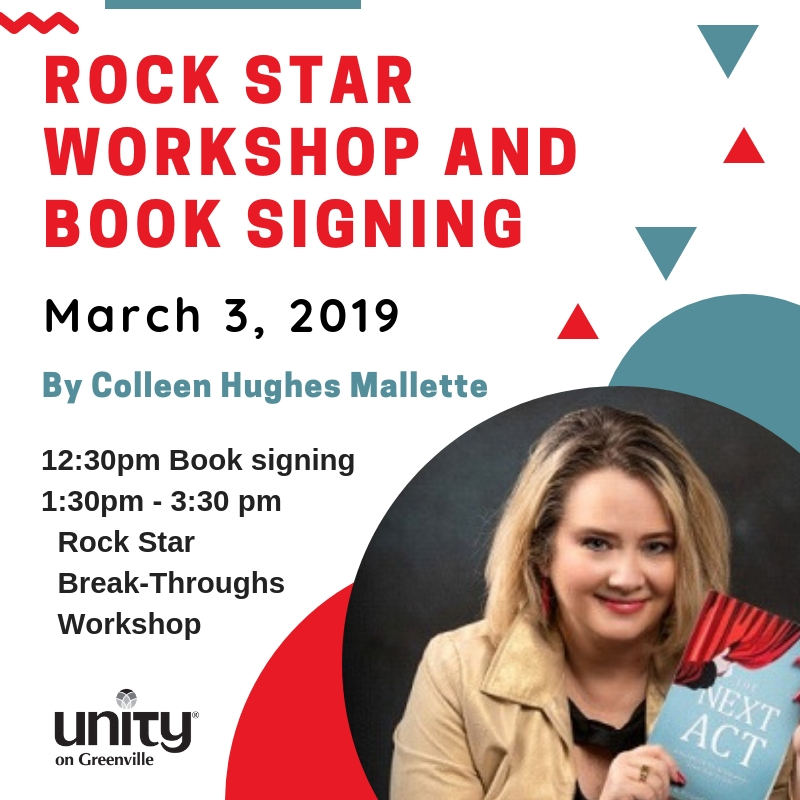 ~ 12:00 Book Signing with Colleen (books available for purchase - partial proceeds go to Unity). ~ 12:30 Pot Luck Luncheon - all are welcome! What to Expect at Rock Star Workshop. . .